Pretty fabric and nicely crafted. 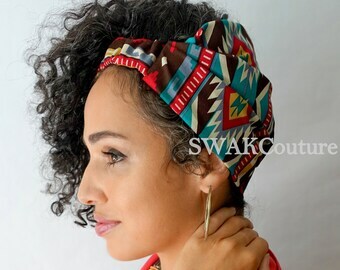 Satin lined Wide Headband Wrap, Solid Color -Teal. Give your curls some Love! 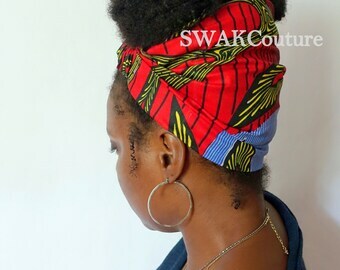 Satin lining helps to maintain moisture, reduce frizz and protect edges. 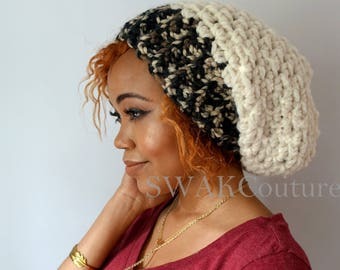 Great for Pineapple buns, twist outs, fitness & protective styles. Can wear Wide or fold narrow! 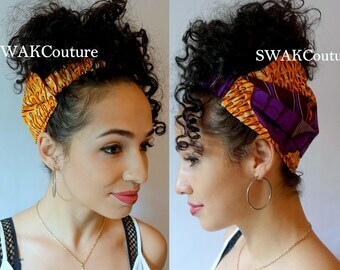 Ankara Wide Headband Wrap. 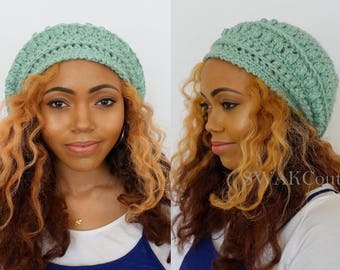 Satin lining Option for extra protection of curls. 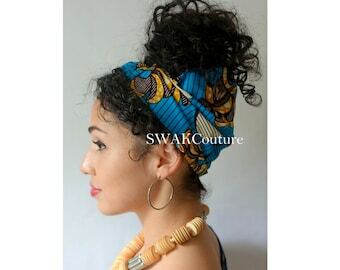 Great for Pineapple buns and updos, Styles on-the-go, long hair, thick curly hair, Fitness and protective styles. Can wear Wide or fold narrow! Cozy Alert! Our new Gray & Red Mod Triangle Print Blanket Scarf Wrap is so plush and cozy. Only a few available so don't miss out. 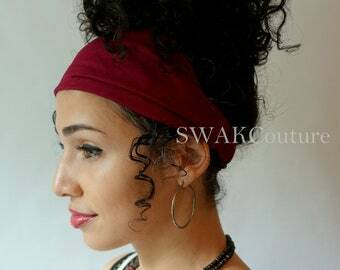 Our Satin Lined Wide Headband Wraps are just fabulous! They help retain moisture, protect edges and maintain styles. We offer chic & modern fashion jewelry; such as, handmade earrings, necklaces, rings and bracelets. 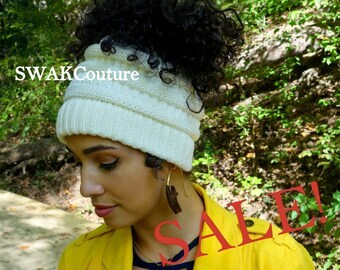 Bundle up this fall & winter in 1 of our many unique & cozy handmade scarves. Our hooded Lofty Messenger Scarf is a fav! We offer classic & chic accessories for brides. The Dong Bridal Party are wearing our Purple Wine Peony Floral Combs. 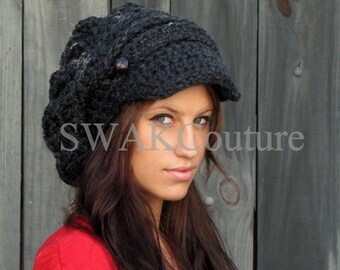 The Two-Button Band Slouchy Newsboy Hat is a fan fav. 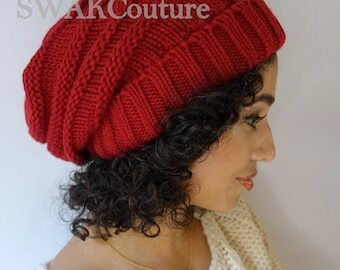 Completely handmade and originally designed. 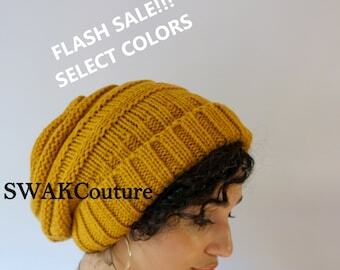 30 Color Choices! 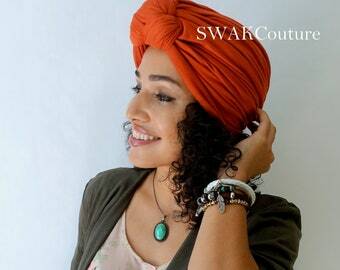 At SWAKCouture, you can shop a full line of modern & artfully designed accessories. 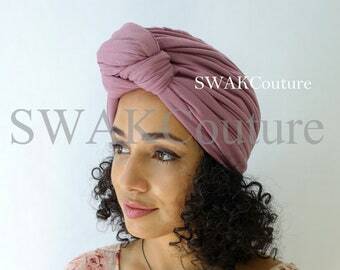 Our popular handmade Satin Lined Wide Head Wraps, Turbans, Newsboy & Beanie Hats, and oversized eternity Scarves are crafted with quality materials and meticulous care. We design modern accessories for women, men and girls and also welcome custom requests. 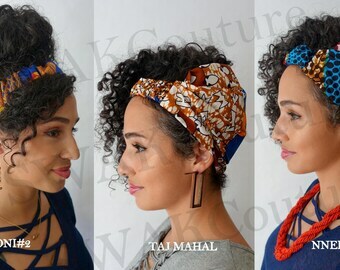 Our collection is comprised of unique and original designs; patterns and looks that cannot be found in the mainstream marketplace. 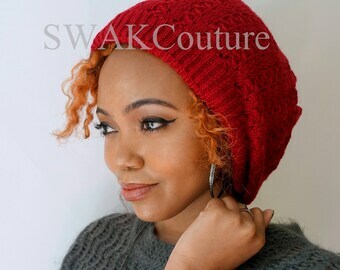 We strive to offer chic designs that are versatile, comfortable to wear and affordable. Designing is in our blood; Owner Tiombe Amina grew up watching her father and grandmother run their alterations and reweaving businesses. Early on, she took a keen interest in knitting/crocheting, which her dad happily encouraged. Tiombe Amina was 12 years of age when she made her first afghan and won 1st place in the county fair. She has had an interest in creating and crafting ever since. Years later after college, she began to design accessories - initially, just for herself and as gifts to family and friends. 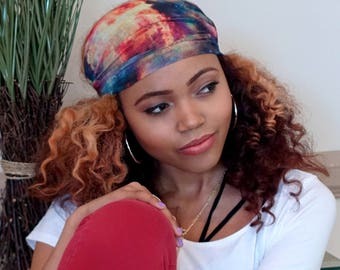 After constantly being stopped by strangers who wanted to know where she had purchased her handmade scarf/hat from, she realized that she needed to take her dad's advice and follow her natural passion in life. In mid 2010, when her former employers' offices closed, she decided to say goodbye to the Corp. world altogether and opened an online boutique via Etsy and hasn't looked back. 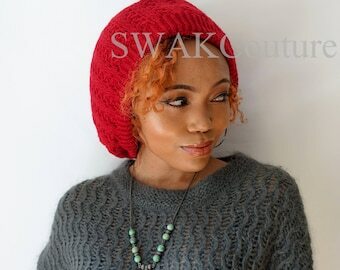 Customers can purchase our accessories here or via www.swakcouture.com. 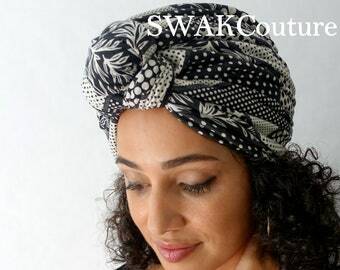 Welcome to SWAKCouture (Sealed with a Kiss Couture) - Handmade Couture Scarves, Hats, Gloves, Hair Wedding Accessories and Fashion Jewelry. 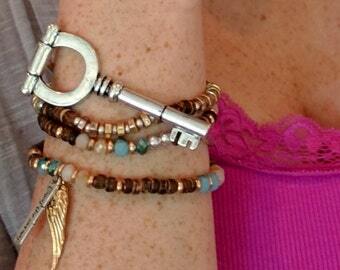 Our accessories are Uniquely Chic & Colorful and are artfully designed. We create new designs and jewelry pieces often so be sure to check back regularly. Thanks for shopping! 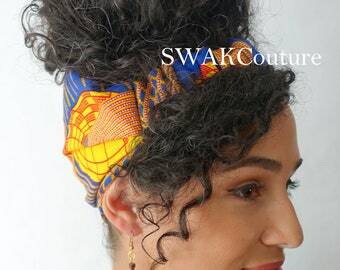 ♦We want you to love your new items from SWAKCouture and we work very hard to provide quality products. Although errors are rare, we are human. ♥ Please let us know right away if there is an error with your order and we will correct it at our cost. ♦If you just have a change of mind about your order or ordered the wrong size/color, we offer Exchange only within 14 business days. Because we are a small business & our products are labor intensive, we do not offer refunds. ♦Please note we are not responsible for the shipping costs to return a product back to us for change of mind exchange/or size changes due to not measuring for proper size. We accept Major Credit/Debit cards, Etsy Gift Cards and debit and credit card payments through PayPal, and Paypal account balances. **Orders containing 2+ pieces, may require 1-2 additional days of processing. ** During peak season, Nov 10th- Jan 30th, there may be additional processing time of 5-7 business days to the normal processing times referenced above due to volume. RUSH ORDERS: Need it sooner? ?-- Contact us to discuss. We try to accommodate most Rush requests by not charging a Rush processing fee, case-by-case basis. Rush shipping is not covered under normal shipping rates that are indicated on listing. Expedited shipping is of course more expensive thru the Post office so an additional invoice will be sent for payment. Rush to international address can also be accommodated at an additional charge. ***Custom orders may take longer and you will be notified of the completion time at the time of order. If an item is already made and in stock, it will ship within 2 business days of payment. All customers are notified via Email when their order ships. *Processing on all orders begins within 24 hours of order placement. Most changes to an order cannot be accommodated after a 24 hour period has passed, including Cancellations. All orders are shipped USPS (postal service) to offer you the most economical shipping method possible. We ship to the address provided upon checkout on Etsy. If you provide the incorrect address, you are responsible for the lost package or resending of the package, if the Post office returns the package back to us. All international orders are shipped USPS (postal service) to offer you the most economical shipping method possible. However you can upgrade to pay for any shipping method that you would prefer other than regular mail. We would encourage to upgrade your shipping if you require step-by-step tracking or have a time table for delivery. Regular mail service thru the post office is inexpensive but the trade-off is that the delivery time is slower and the Post offers tracking only at certain points along the transit. Transit time for International orders Average 2.5 - 3 weeks for delivery via regular mail thru the Post office. This depends on your country as well. (We cannot control customs delays and are not responsible for lost or stolen packages). Upgrades: (additional cost, depends on weight of order and destination) Please email me thru Etsy if you want upgraded shipping so I can email/convo you a separate invoice for purchase.